The Government has requested ministries and agencies to further review and remove at least one third or half of existing business conditions in the fields under their management as well as administrative procedures that are hindering businesses’ investment. The specific requirement is set forth in Government Resolution No. 98 dated October 3, 2017, on the Government's September 2017 regular meeting, which pays special attention to the reform of business conditions. The Resolution highlights the need to remove unnecessary and irrational barriers and business conditions to expand market access and promote healthy and fair competition, which is one of the five major tasks to develop the private sector into an important driving force of the economy. Under the Resolution, the Ministry of Planning and Investment is set to finalize a decree to control and improve the quality of business conditions for submission to the Government in December. Meanwhile, the Ministry of Justice must closely monitor legal documents on business conditions to avoid unlawful promulgation. 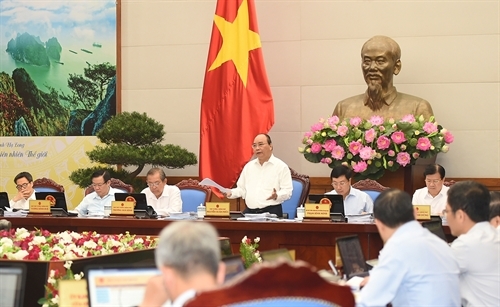 At the cabinet meeting, Prime Minister Nguyen Xuan Phuc spoke highly of the Ministry of Industry and Trade’s recent decision to cut down 675 business conditions under its management, hailing it as a lesson for other ministries.